1940: Founded as Francis Associates. 1958: The Sippican Corporation (TSC) made up of Ocean Systems, Architectural Engineering. 1981: Ocean Systems Division spun off into a public company, Sippican Ocean Systems, Inc., in Marion, MA. 1985: Name changed to Sippican, Inc. 1987: Sippican, Inc. sold to Plessey Plc., a licensed manufacturer and distributor of Sippican products in the United Kingdom. 1989: Plessey taken over by GEC, UK, and Siemans, FRG. 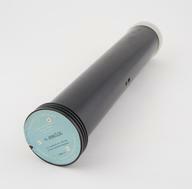 Sippican became part of GEC's Underwater Systems Division. 1990: Sippican, Inc.'s Marion based management executed a buy-out from GEC and Sippican, Inc. became a privately held company. 1994: Sippican purchased ORS, a subsidiary of Groundwater Technology, Inc. and formed the ORS Environmental Systems Division of Sippican. This division was divested in 1997. 1996: Sippican purchased Spears Associates, Inc. of Norwood, MA and formed the Spears Communications Group of Sippican's Sea-Air Systems Division. 1997: Sippican purchased VIZ Manufacturing Company's Radiosonde business and formed the VIZ Meteorological Systems Group of Sippican's Sea-Air Systems Division. 1998: Sippican purchased Hycor, a division of L-3 Communications Corporation and formed the Hycor Products Group of Sippican's Countermeasure Systems. 2000: Polaris Contract Manufacturing Services, Inc. established as a wholly-owned subsidiary of Sippican, Inc. 2002: The Carlyle Group, a Washington, DC-based investment firm, took a majority ownership position in Sippican, Inc. 2003: Sippican's Underwater Vehicles Division acquires Self-Propelled Acoustic Target (SPAT) technology from Northrop Grumman. 2004: Sippican is acquired by Lockheed Martin and becomes part of the corporation's MS2 organization.